Like many Unitarian and Universalist ministers of yore, I’m a circuit-riding preacher: a perpetual guest minister. (Not many 19th century traditions merit revisiting, but this is one of them.) On any given Sunday, I pull up to an unfamiliar UU congregation, meet in person the lay leaders I’ve been teaming with in advance, and lead worship for and with new friends. I’ve run out of synonyms for “awesome” to describe how much I love this work. When UU congregations speak of practicing hospitality, they’re usually thinking of guests in the pews, not the pulpit. I’ve learned, however, that worship planning itself is an act of hospitality. The following practices for UU worship associates deepen and enrich that collaboration; they’re the essence of hospitality to, and for, guest ministers. We UUs are people of relationship. How we plan worship together is as important as the final product. If you find yourself operating from “Checklist Mind,” pause… and connect first. You’re the ambassador for your entire congregation. Introduce yourself. Let us know that you’re looking forward to working with us, and how you’d like to involve us in the service. Frequently, a single thoughtful conversation about your service is more effective than ten “time saving” emails. It also demonstrates respect for us, as guest ministers, and for your congregation, who can sense the difference between a slap-dash service and worship crafted with care and creativity. If you can’t devote time to a visioning process, do ask about our gifts, our preferences for which elements we’ll be responsible for, and our needs on the day of worship. The Chinese character for “busy” is comprised of the symbols for “heart” + “killing,” but for too many of us, it’s the default descriptor of our days. Most of us lead lives that are very full indeed, but that’s no excuse for unleashing the even more deadly Beast of Urgency (“I need this by tonight!!”). Have mercy: plan ahead and clearly communicate deadlines. Religious professionals provide more than a sermon. Our role is to hold the space, fully present to whomever shows up, exactly as they are. To reflect the value of our ministry, the UU Ministers Association has established a minimum honorarium of $250 (one service; $300 for two; plus mileage, whenever possible). The honorarium check should be presented before the service. A guest minister should never depart without having been paid. Worship isn’t about conveying information or having enough candles. As a worship associate, you and your guest minister are preparing a table for beloved people with deep longings, invisible hurts, and a need to be buoyed by the community’s hope. Together, you’re creating a space that will hold them — and Spirit, who often drops in for a visit. May you find delight and connection in this shared ministry, and may you discover ways to deepen hospitality in all its forms. Rev. 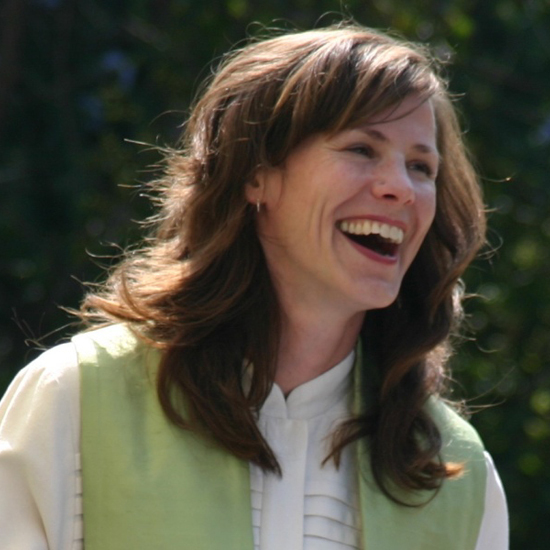 Erika Hewitt is a community minister based in Bath, Maine. In addition to preaching in a different pulpit every Sunday, she coaches UU ministers and worship teams across the country. Erika’s forthcoming book from Skinner House is a small-group guide for laypeople to write their own sermons. Quimper UU Fellowship in Port Townsend, WA has a lovely Worship Manual outlining how to welcome guest preachers: http://www.quuf.org/uploads/QUUF%20Guest%20Speaker-Worship%20Associate%20Handbook.pdf This teaching congregation has many useful manual on their website.